The highest security standard for consensus algorithms is known as Asynchronous Byzantine Fault Tolerance (ABFT). 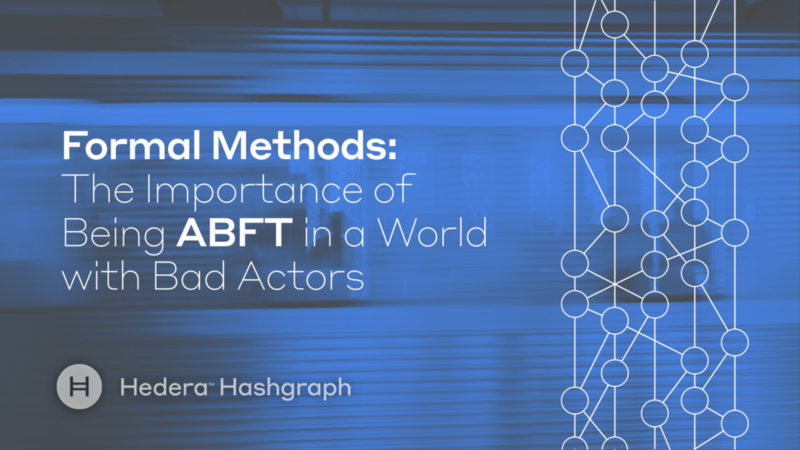 The hashgraph algorithm, as used in the Hedera public ledger, achieves this gold standard, with a mathematical proof that it is ABFT. This proof-of-stake consensus system was first proved to be ABFT in a rigorous math proof published in 2016. 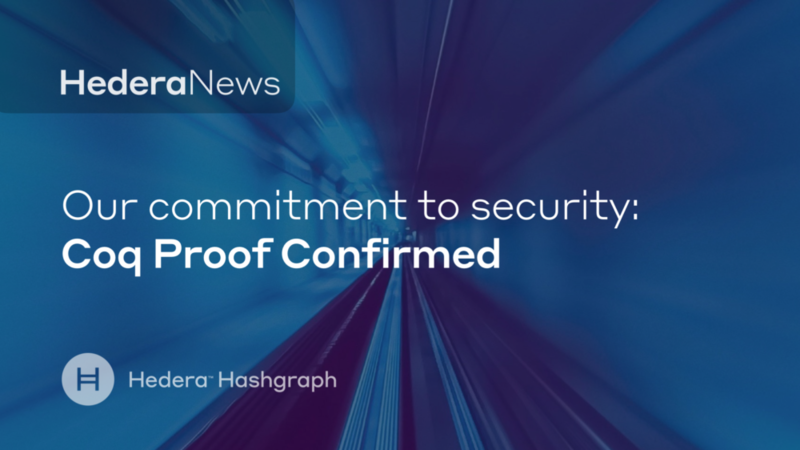 That proof has now been verified by computer in a formal verification completed by a Carnegie Mellon University professor — and we think it is important to explain what that means. 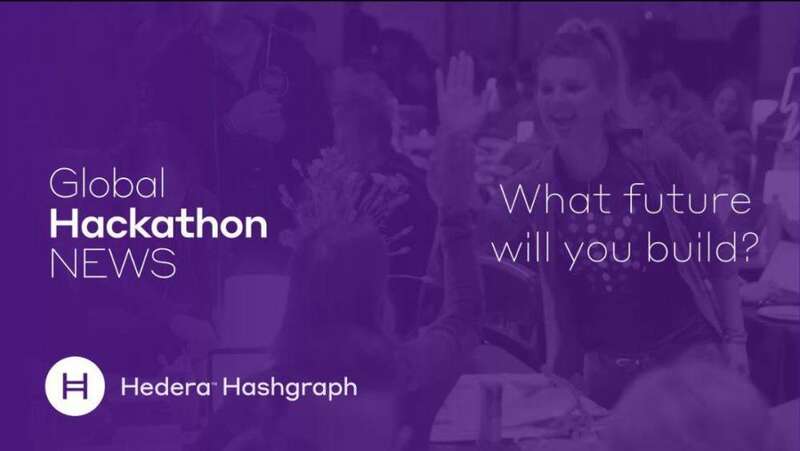 Dallas TX, Hedera18 Developer Conference – October 17, 2018 – Hedera Hashgraph, a next-generation distributed public ledger with highly diversified governance, today announced that the hashgraph consensus algorithm has been validated as asynchronous Byzantine Fault Tolerant (ABFT) by a math proof checked by computer using the Coq system. 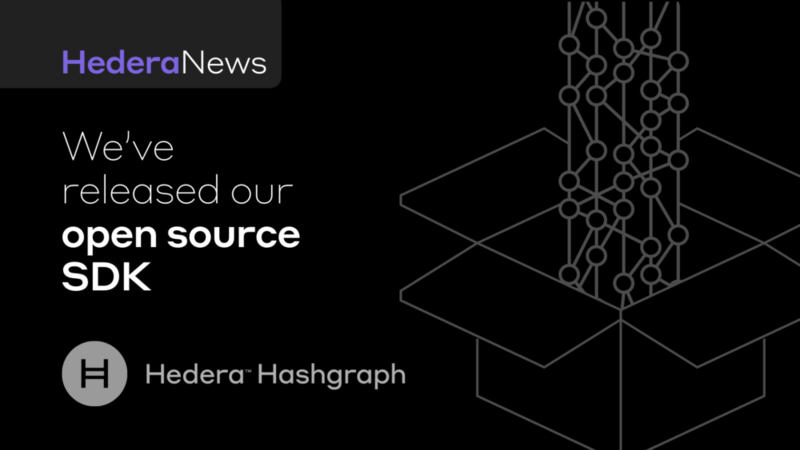 Dallas TX – Oct 10, 2018 – Hedera Hashgraph, a next-generation distributed public ledger with highly diversified governance, today announced the public release of the Hedera SDK in Java. The SDK is open sourced under an Apache 2 license, and can be found at github.com/hashgraph/hedera-sdk-java. With the SDK, developers can now begin to develop Hedera-based applications for use on the Hedera platform. From the origin of Bitcoin as a digital gold, to Vitalik establishing a new development paradigm, distributed ledger technology has begun to enable a fully decentralized world. 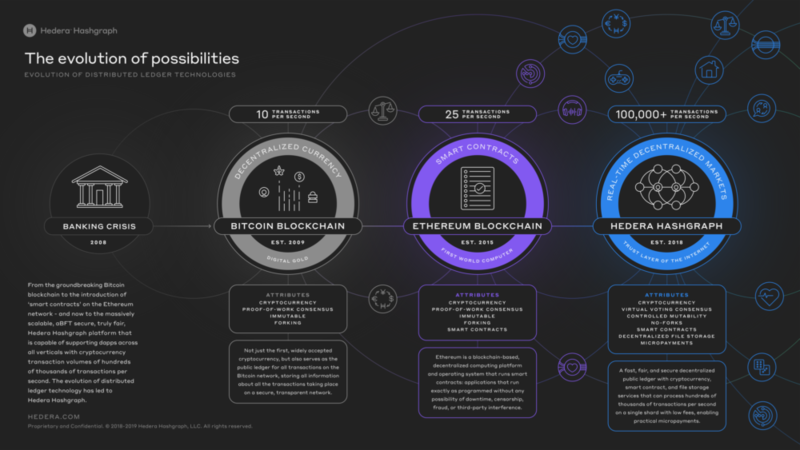 Understand the growth of distributed ledgers and how the technology has changed to make new dapps possible in the Evolution of Distributed Ledger Technologies infographic. 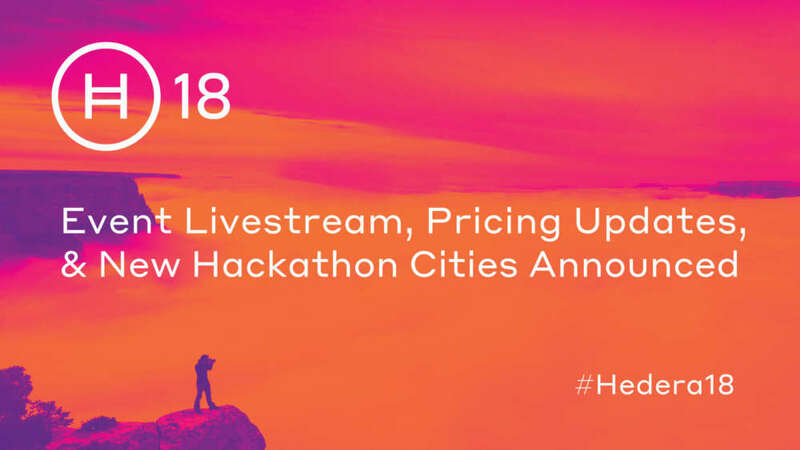 This week, Mance Harmon, Co-Founder and CEO, provided a quick update on Hedera18, our first hashgraph developer conference, including a free global livestream of the conference, new conference pricing, and 4 additional hackathon locations. The video and full transcript of the update are inside. Hedera is the world’s first fast, fair, and secure public ledger for decentralized applications (dapps). 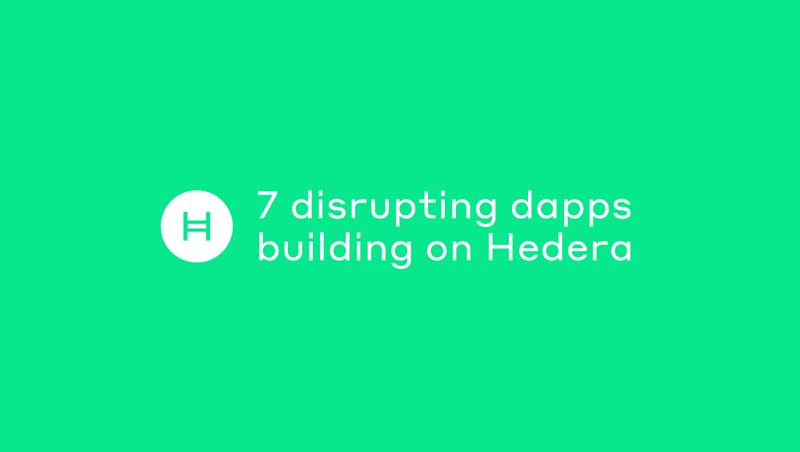 Found inside are 7 innovative dapps using Hedera Hashgraph to disrupt their respective industries in finance, media and entertainment, real estate, gaming, and online marketplaces. 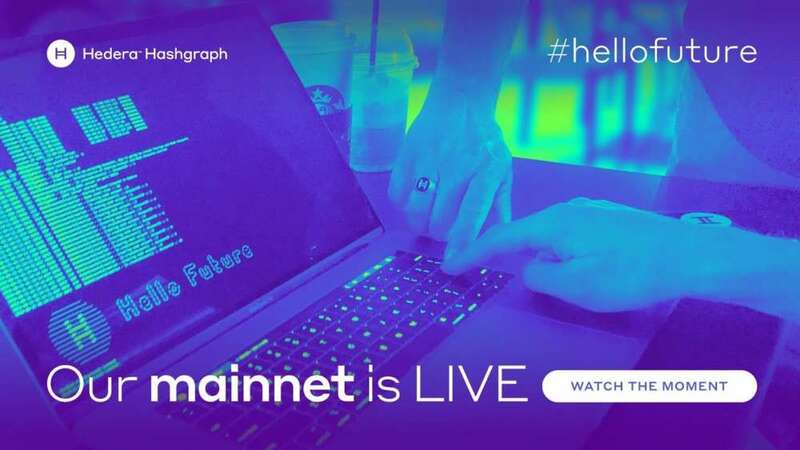 We remain highly focused on building out our platform, and today are excited to announce that we have reached another milestone with the launch of our main network (mainnet). The network will provide the first three services - cryptocurrency, file storage, and support for Solidity smart contracts. The public APIs are completed, and will start being tested by our selected partners over the next few weeks. We have officially closed our crowdsale. We will not be accepting any new applications and the crowdsale registration page has been removed from our website. Please do not fall for any scams pretending to still be collecting funds from Hedera.